TRILUX offers visually appealing, yet comfortable lighting design. Farringdon, in the heart of the city and one of London’s most cosmopolitan and exciting areas, offers city workers a broad mix of culture and variety. Located within the area’s eclectic surrounds is the 25 Charterhouse Square development. Overlooking the historic Charterhouse Square and immediately adjacent to the new Farringdon East Crossrail station, 25 Charterhouse Square was originally constructed in the 1960’s. In 2015 Helical undertook a comprehensive refurbishment of the space, which included the construction of a new 6th floor, the complete remodelling of the entrance lobby and the creation of two new A3 units at ground floor. The building now provides 43,500 sq ft of premium office and retail space. The master plan was to reposition the building, amongst its city peers, by improving the façade, while keeping as many original elements as possible. The result was to have a positive impact on the conservation and heritage area. With this in mind, the lighting scheme had to reflect these aims and add a high-quality premium finish to the extensive works. Colours were chosen to contrast and blend with the dark and stark tones used within the interior palate. The classic sleek appearance of TRILUX’s Luceo, in black, combined with its bright white LED light, perfectly matched the new interior. The use of a suspended luminaire allows light to be thrown onto the white ceiling creating a fresh, uplifting environment. The glare free light is ideal for the high gloss screen usage that is prevalent in modern tech companies today. Inperla LP downlights add sparkle and interest in the reception area and LC66 creates modern, minimalist light lines. 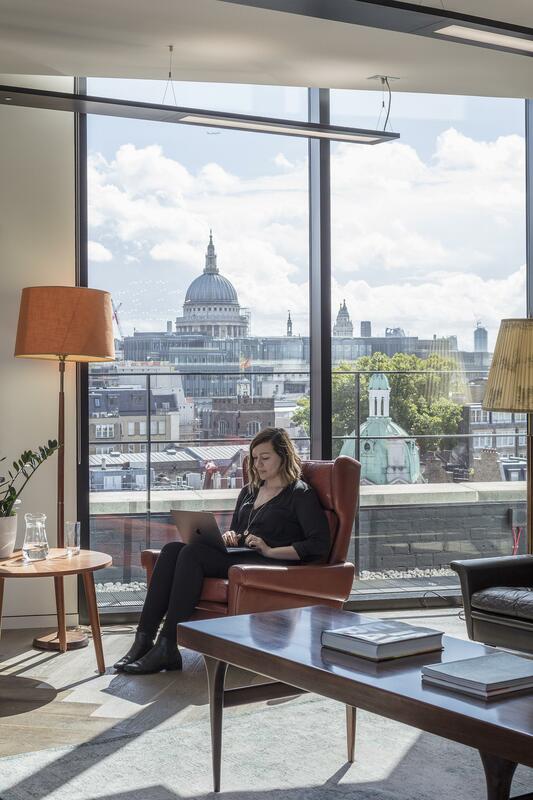 The scheme has achieved both BREEAM Excellent and WiredScore Gold and is already attracting new, creative tenants such as global marketing agencies and software development firms.